Marriages are known to throw curve balls. In the modern world where people meet on a matrimonial website and commit to a relationship, there is so much uncertainty. We can’t fully bash the online platforms because there are beautiful and happy marriages from them. However going through all the family introductions, proper wedding, and a matrimonial service is not anything to celebrate, the two of you are only getting started. Don’t be scared of marriage, everything in life is a risk. While you should not get married with an exit strategy, you can never be too sure. You can call it separation if the word divorce scares you. But it is real, marriages fail. You will not hear anything about this on matrimonial website USA because the essence is to promote relationships. A divorce is a traumatizing and frustrating experience that you should not wish to get there. If you are religious, pray against it. But if it comes, it’s life. Take it as it is. Beat up yourself a bit, cry then get back on your knees and soldier on because there is life after a divorce. You can actually find better life after a divorce. Matters of the heart are discreet and mysterious just like matters of the soul. How do you know it is a soulmate? You know when you know. Also, the answer can be, you don’t! The point here is there is a possibility of a divorce because you made a wrong choice of life partner. Although it brought you pain and a lifetime scar, you can find a perfect husband or perfect wife after a divorce, a soul mate. 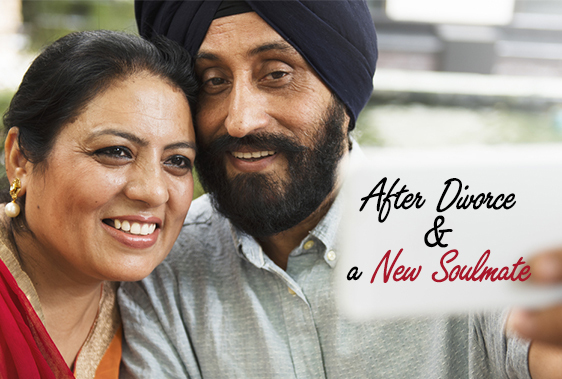 If you are on Hindu matrimonial USA or Desi matrimonial USA, you already know there is possibility of happier life after a divorce.